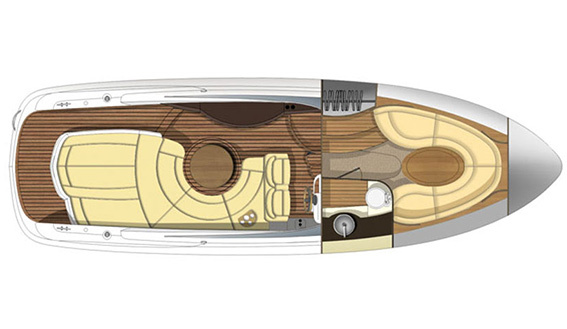 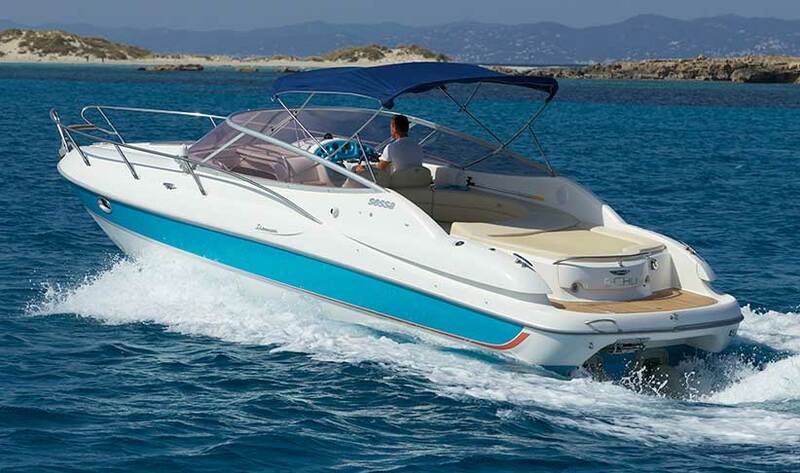 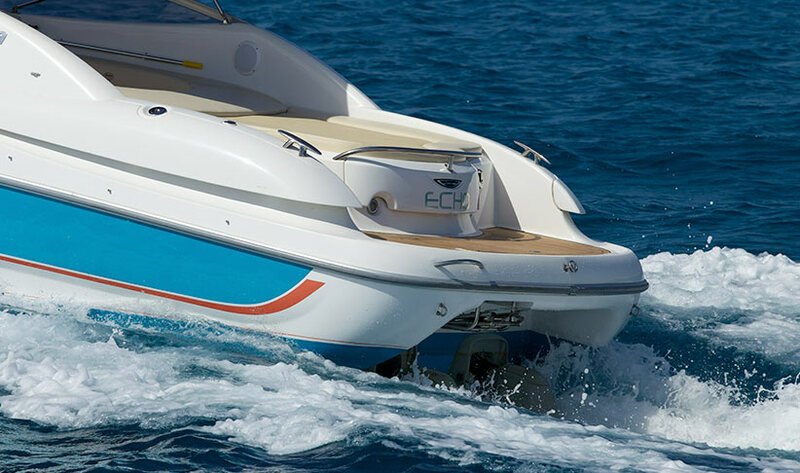 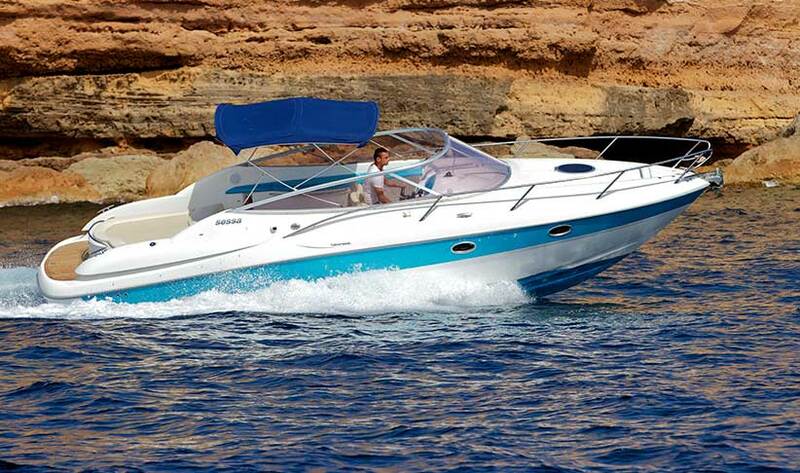 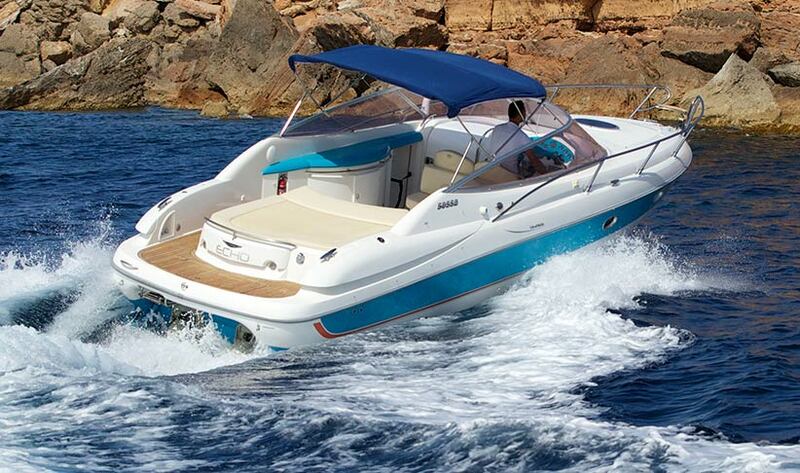 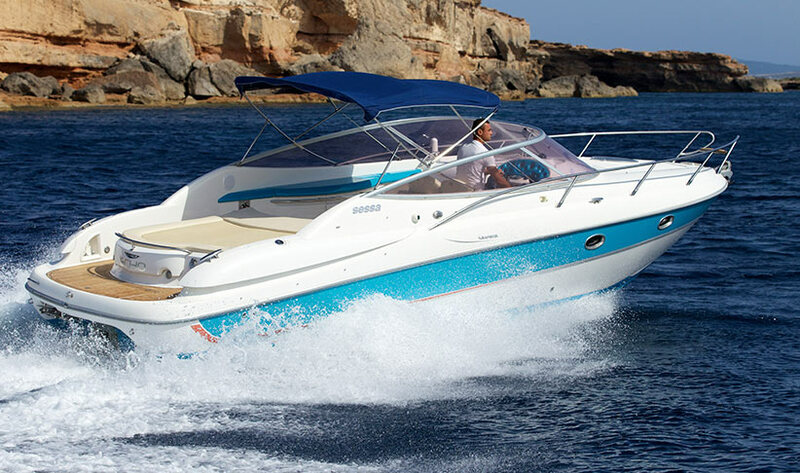 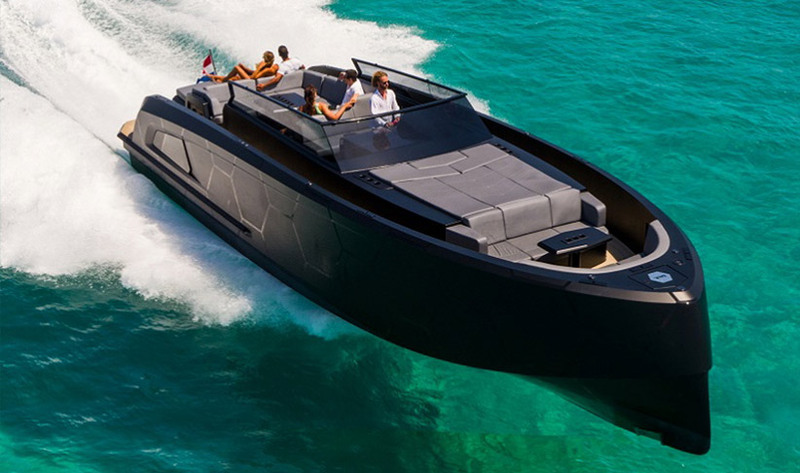 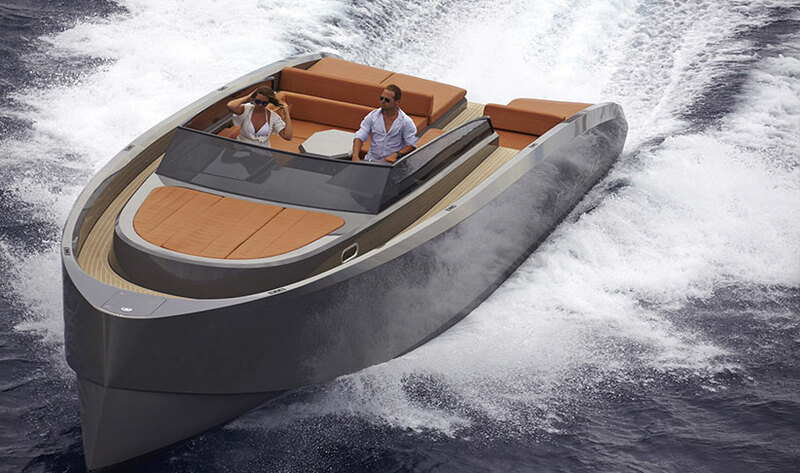 Built in 2006 and refitted in 2012, the Sessa S32 is a fast boat capable of 32-40 knots. 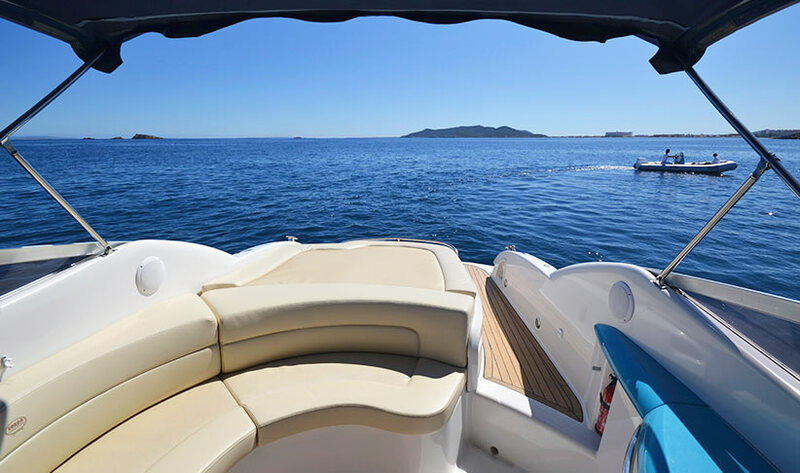 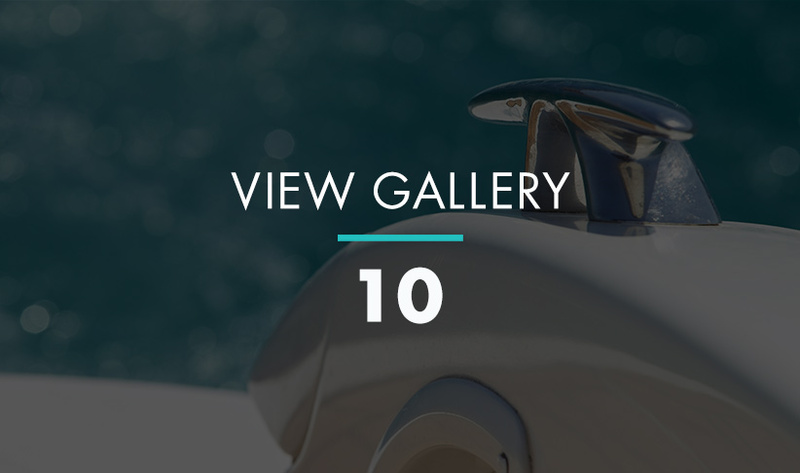 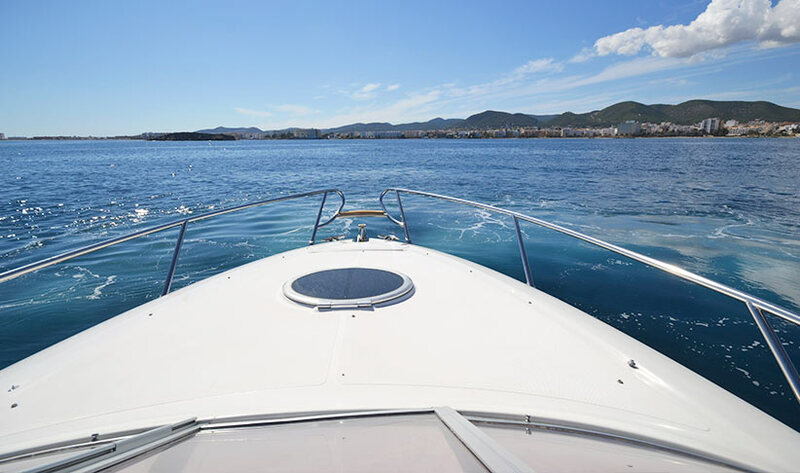 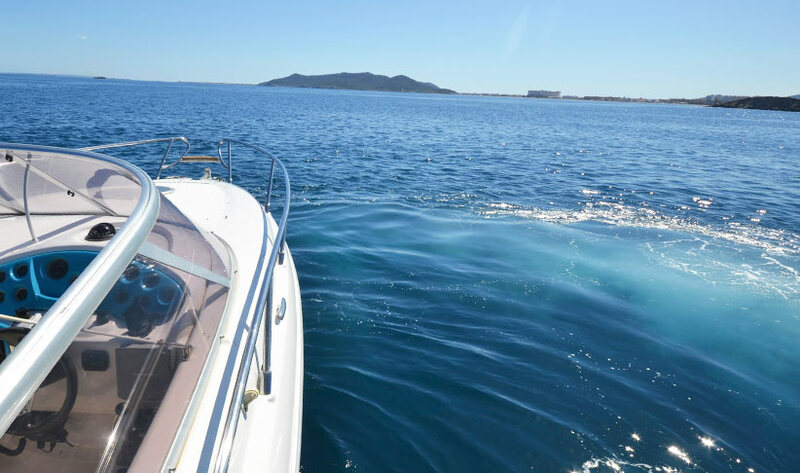 She can take up to 8 guests plus the skipper into shallow coves and bays around Formentera and Ibiza with her sports hull. 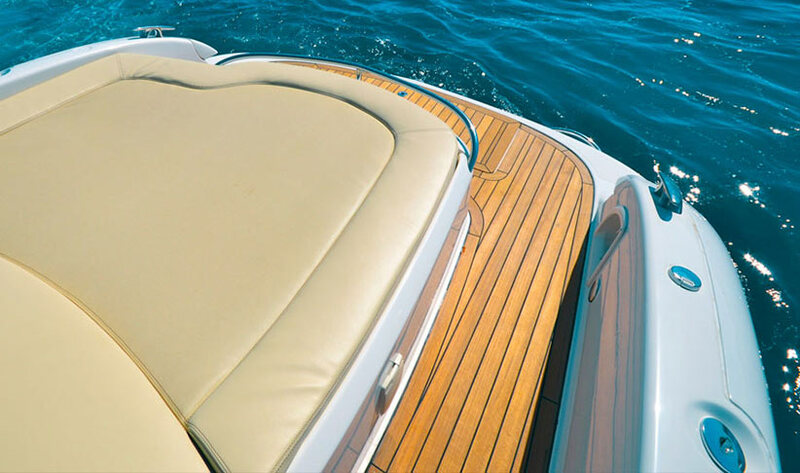 There's a large sunbed for relaxing as well as a round seating area with table for dining. 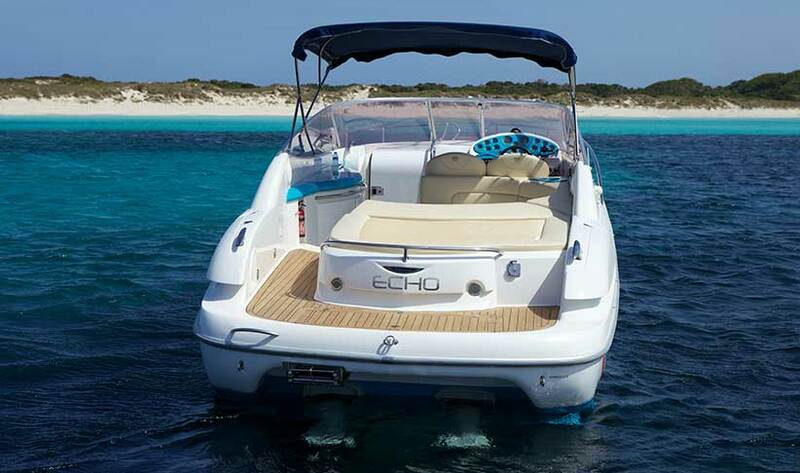 Echo has a good sound system and inside the cabin, there's a U-shaped dinette and bathroom.